The Catholic Church has a gay problem. I'm not talking about its regressive, homophobic doctrine, but about the sheer hypocrisy. Openly gay, former friar Mark Dowd called it a "ticking gay bomb." By his estimation, about half of the men drawn to Catholic seminaries and monastic orders are gay. Leave say there have long been rumors of an underground gay scene for some time, even of a gay "lobby" at the highest levels. Now the implicit has become explicit with a widely publicized bust. Cardinal Coccopalmerio, president of the Vatican’s Pontifical Council for Legislative Texts, will now be pressed into retirement. His secretary, whom he was grooming for promotion to Bishop, is facing dimmed prospects and drug treatment. This is the second major scandal to erupt from the Vatican in as many weeks. A high-ranking cardinal was indicted in June for sexual assault. Australian police charged a top Vatican cardinal on Thursday with multiple counts of historical sexual assault offenses, a stunning decision certain to rock the highest levels of the Holy See. Cardinal George Pell, Pope Francis’ chief financial adviser and Australia’s most senior Catholic, is the highest-ranking Vatican official to ever be charged in the church’s long-running sexual abuse scandal. Victoria state Police Deputy Commissioner Shane Patton said police have summonsed Pell to appear in an Australian court to face multiple charges of “historic sexual offenses,” meaning offenses that generally occurred some time ago. Patton said there are multiple complainants against Pell, but gave no other details on the allegations against the cardinal. Pell was ordered to appear in Melbourne Magistrates Court on July 18. For years, Pell has faced allegations that he mishandled cases of clergy abuse when he was archbishop of Melbourne and, later, Sydney. His actions as archbishop came under intense scrutiny in recent years by a government-authorized investigation into how the Catholic Church and other institutions have responded to the sexual abuse of children. Australia’s years-long Royal Commission into Institutional Responses to Child Sexual Abuse — the nation’s highest form of inquiry — has found shocking levels of abuse in Australia’s Catholic Church, revealing earlier this year that 7 percent of Catholic priests were accused of sexually abusing children over the past several decades. He is the highest ranking Church official to face such charges. 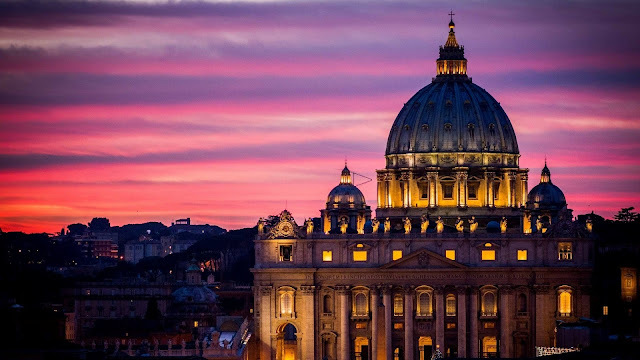 It's past time for the Vatican to get its house in order and stop treating homosexuality like it's sinful and abnormal and start treating sexual abuse of children like it is.